NERE, the Network for Experimental Research on Evolution, is a University of California Multicampus Research Program funded and administered through the UC Office of the President and its constituent UC campuses. NERE (pronounced “near”) supports collaboration, communication, and graduate education concerned with research on biological evolution. NERE serves as a conduit for interactions between evolutionists within the University of California system and between University of California scientists and the global scientific community. 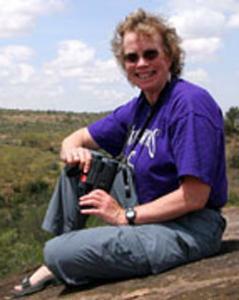 "Dr. Stanton's research focuses on "Genetic variation in natural populations; Evolutionary responses of plant populations to heterogeneous evironments; Ecology and evoultion of plant reproductuve systems; Plant adaptation to abiotically stressful environments; multi-species mutualisms; and mechanisms of species coexistence." The Western Evolutionary Biology Biologist of the Year Prize, or Webby, is awarded by NERE, with UCLA Associate Director Jay Phelan chairing the award committee. The Prize is to be awarded annually to an individual from the west of North America (including western Canada and Mexico) who has contributed significantly to the scientific study of biological evolution. Jay Phelan will be accepting nominations for this award at jay@ucla.edu. All individuals nominated for this award must be willing to attend and speak at the WEB meeting in the year that they receive the award. Current Directors of NERE, members of its advisory board, and University of California officials that supervise NERE are not eligible for this award. 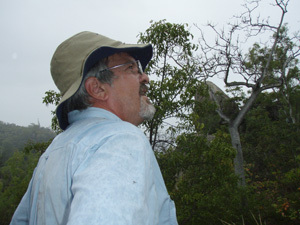 Kevin Padian is a Professor of Integrative Biology, Curator of Paleontology, University of California Muesum of Paleontology and President of the National Center for Science Education. Padian's area of interest is in vertebrate evolution, especially the origins of flight and the evolution of birds from theropod dinosaurs. He served as an expert witness for the plaintiffs in the Kitzmiller vs. Dover Area School District trial, and his testimony was repeatedly cited in the court's decision. projects include examinations of the plasticity of cardiopulmonary function in reptiles and the evolution of thermal and acidity adaptation in experimental evolutionary lineages of bacteria.